The Master of Innovation Management program is designed specifically for professionals wishing to develop their skills and understanding of the management activities undertaken within the context of the evolving and complex world of innovation management. Primarily the student cohort will be individual students selected and supported by Dubai Government as part of the Government training and development initiatives. The MIM will support the 2015 UAE Innovation Strategy, as it has been designed to help students improve their ability to analyze and solve problems in the context of contemporary innovation management scenarios. This program has been developed for current and future managers and leaders in national and international public and private sector organizations. It is particularly relevant in the current climate of governance and Government, and will be of interest to those who want to keep ahead of these activities. Decide on effective leadership and teamwork skills to solve complex innovation management problems and communicate decisions to relevant audiences. A minimum cumulative grade point average of 3.00 on a 4.0 scale, or its established equivalent, in the applicant’s baccalaureate degree program. An applicant who meets the above requirements should have minimum of three years of relevant work experience. Prior to enrolling in a Master of Innovation Management (MIM) program students must demonstrate proficiency in basic statistics and research methods. These requirements can be met by passing an undergraduate university level subject in statistics and/or research methods. Students who have not demonstrated previous proficiency in basic statistics and research methods will be required to take the Foundation Course for Research Methods in Public Policy during their first semester of academic study. Furthermore, these students will be limited to enrolling and studying one Core Module, in addition to the Foundation Course for Research Methods in Public Policy, in their first academic semester as part of their Master of Innovation Management (MIM) program of study. An increasing number of public and private sector entities are becoming aware of the imperative to innovate in order to remain viable in the 21st Century. The creative process of generating ideas for new products, services and new business models is a human skill and the future for innovation leaders looks bright. Master of Innovation Management (MIM) graduates will find themselves working in a range of public and private sector organizations in areas of new business development, innovation project management and innovation consultancy. They will work in product and service contexts across a variety of industries. Their daily jobs will involve supporting development teams when new products are being developed, and they devise and initiate new products and services themselves, becoming new business developers. They also act as consultants to small and medium-sized enterprises, advising on organizing businesses for innovation. All MIM students will need to complete a total of 180 credits for the full Master’s award. Students will need to successfully complete 120 credits with an average mark of 60% or more, before being allowed to progress to the dissertation stage. Student progression to the dissertation stage will be administered by the Board of Studies following confirmation of results by the Examination Board. A student completing 120 credits of taught modules and a 60 credit Dissertation for a total of 180 credits will be eligible for an MIM award. Students can exit with a Post Graduate Diploma after completing 120 credits and prior to attempting the dissertation. Organizations that are consistently successful at managing innovation out perform their peers in terms of growth, financial performance and employment. The broader social benefits of innovation are even greater. However, as this module will demonstrate, innovation is not easy to develop within any organization and requires an approach that is quite different from that offered by standard management tools. The strategic management of innovation requires more than just adding it to the functions of an organization. Instead it needs an integrated approach that deals with interactions between changes in technology, organizations and markets. 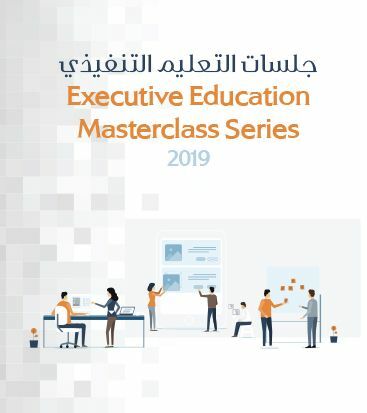 This module will explore the different elements that develop and sustain innovation within various organizations and, given the strategic imperative within the UAE to develop a more innovative economy, will also explore the importance of innovation within a national context. It will therefore provide learners with opportunities to explore experiences of innovation and entrepreneurship in action and reflect in a structured manner on these experiences and the lessons that emerge from them. It will also introduce concepts that provide the basis for understanding innovation, how it can be managed and enable the student to experiment with these conceptual models to help make sense of managing innovation. Public sector innovation - where new ideas create value for society - is not new although more recently there has been a more concerted effort to try and develop a systematic approach to creating innovative solutions that can address societal challenges. This module will examine the key issues in terms of public sector innovation which, as a result of changing political agendas and a desire for action during the last four decades, has led to continuous organizational change becoming common in many parts of the public sector. More recently, the global financial crisis has accelerated this trend as governments seek to reform, restructure and reorganize their public sector activities in order to deliver more efficient and effective services. In addition, citizens’ expectations of higher value service innovations are increasing despite fiscal pressures, especially in terms of greater choice and quality. Other important issues such as demographics (an ageing population), technology (e-government) and climate change (strategies for sustainability). Some would argue that many public sector organizations are not up to the job of developing and implementing solutions to deal with these challenges. Many focus too much on the short-term needs of politicians; are too bureaucratic and hierarchical to deal with change; have an aversion to failure that restricts new ideas; do not place citizens at the heart of their policymaking; cannot scale new solutions sufficiently; and have few formal methods for promoting innovation. With the service sector creating most of the wealth and employment within developed and emerging economies, ensuring that the sector continues to innovate presents a number of challenges. This does not only include the service innovation process itself but the adoption of practices that will enhance and improve it. This module will not only examine some of the key issues from academic research and management practice on services innovation but will enable the learner to build the skills and capabilities necessary to better design services, especially in new ways in which service innovation takes place. The module is concerned with the determinants of competitiveness and economic development viewed from a bottom up, microeconomic perspective. While sound macroeconomic policies, stable legal and political systems, and the accumulation of factors of production affect the potential for competitiveness, wealth is created at the microeconomic level. The strategies of firms, the vitality of clusters, and quality of the business environment in which competition takes place are what ultimately determines a nation’s or region’s productivity and wealth. The content covers both developing and advanced economies. The focus is on emerging, transition and advanced countries where microeconomic agendas are critical to sustained success. Furthermore, the module addresses competitiveness at the level of nations, states or cities within nations, clusters, and groups of neighboring countries. A major theme of the module is that competitiveness and economic development is affected by policies at all these levels. The module is also concerned with government policy but also with the roles of business, universities, and other institutions in competitiveness. In modern international competition, the roles of the constituencies have shifted and expanded, and the traditional separation between them works against successful economic development. Also, the ability to mount and sustain a competitiveness strategy for a nation or region is a daunting challenge. The module explores not only theory and policy, but also the nature of the organizational structure and institutions for sustained improvements in competitiveness. In addition to both macro and micro policy choices, the module underlines the role of history, i.e. the legacy of nations (such as language, culture and general institutions), and geography, i.e. the regional circumstances (such as the level of development among neighboring nations and the intensity in regional interaction). This module is designed to give students an understanding of the qualitative and quantitative research methods needed by public administrators. Module topics include research design (this includes defining research problems, formulating research questions and reviewing literature), research strategy; methods and data collection tools. 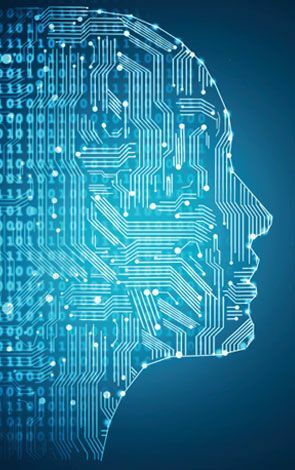 Students will be introduced with a wide range of qualitative tools such as case studies, grounded theory and action research as well as quantitative tools moving from descriptive statistics to regression analysis. The module will enhance students’ skill in evaluating published research and learn how to use research methods in their own research, in order to grasp and analyses issues related to public administration and public policy. They will learn to formulate research questions, design surveys, systematically conduct research and operationalize variables. This module facilitates students’ understanding of the process of strategic thinking, planning and implementation to facilitate a culture innovation in government organizations. The relationships between organizational resources, goals, objectives and means will be fully considered in an attempt to find out how public organizations deploy these resources in order to achieve their visions and missions and to advance innovative public services. The role of leadership in defining organizational processes, goals, objectives and shaping the overall strategic orientation of the organization will be discussed to highlight how dynamic interactions between different organizational levels and teams could achieve innovation. The module also addresses the difficulty of adopting strategic management in public sector innovation and considers how to deal with the problems of implementation of innovative strategies. A case study approach will be adopted to link theory with practice and help students apply their knowledge in the UAE and the MENA region. The Dissertation is designed to enable MBRSG Master’s candidates to integrate, apply and extend the knowledge and skills they have acquired throughout their program. The subject matter for the dissertation should also be based upon skills and concepts acquired during the taught part of the program. However, in order to satisfy the requirements for a Masters level dissertation, it will be necessary for the candidate to develop, enhance and apply these concepts through demonstration of independent research skills beyond the level achieved in prior course-work. To this end, candidates will conduct substantive original research on a strategic management, innovation management or service innovation issue of importance to the region. The outcome will be the development and presentation of the research results and recommendations that can inform innovation management in the UAE and beyond. If you wish to submit a formal Application Form for Admission to the Master of Innovation Management (MIM), please click on either the Full-Time or Part Time Online Admission link.